Everybody has a little bit of March madness this time of year, with college basketball dominating TV and conversations across the U.S. Women's college basketball is feeling more competitive than ever, with some new teams who've never made it this far entering the famed Final Four. This NCAA Women's Tournament may have more historic results than anyone even anticipated, and appearances by Syracuse and Washington in this year's Final Four schedule for the first time in history are a major reason for all the excitement. For one, Washington has had injury after injury, yet still managed to make it to the Final Four. Winning with injured players and a short bench is a feat in itself, but considering the teams they beat weren't just any teams, but included the likes of No. 4 Stanford (with a winning score of 85-76), Washington has outdone itself — especially as a No. 7 team. Compound that with the fact that Washington lost 10 games in the regular season, and them winning eight of the last 10 games seems a near impossibility, given that numerous players have suffered injuries. Then, throw in the fact that they beat Maryland and Kentucky on their home floors. And then they knocked Stanford out of the Pac-12, which is actually incredible. The second crazy thing about this year's Women's NCAA Tournament is that Syracuse made it into the Final Four, when they had never even reached the Sweet Sixteen before. Now, as a No. 4 team, they will face off against Washington, while Tennessee takes off for home despite a history of eight national championships and making it to the Final Four 19 times. 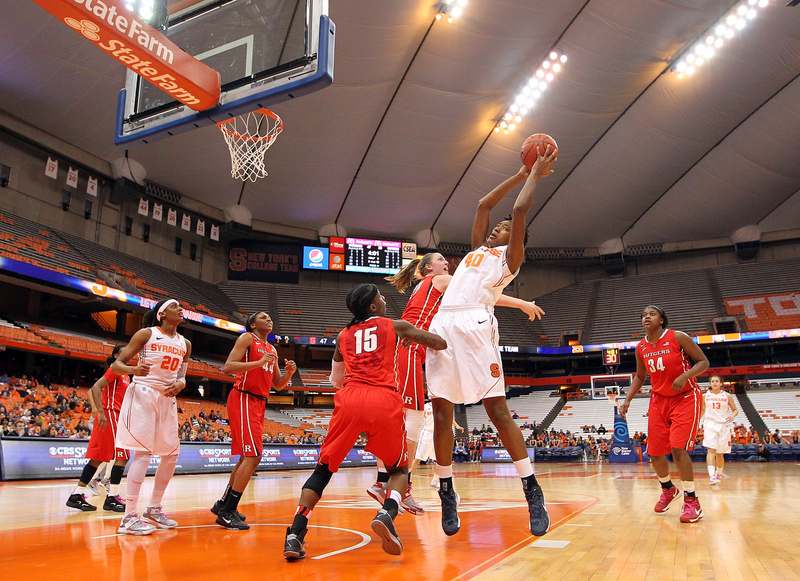 Syracuse took the spot in the Final Four after defeating Tennessee 89-67. Not to mention that's a huge follow-up after their win over No. 1 team South Carolina, with a score of 80-72 in the Sweet Sixteen. Did the leap year throw these teams off-kilter? This is a historic year already, with two new teams off to the semifinals, and the Final Four is bound to look a little different than in years past. With these two teams in their momentum and on their way to Indianapolis, who knows what's to come to close out the 2016 NCAA Women's Tournament. As Washington coach Mike Neighbors said, they're not done yet.